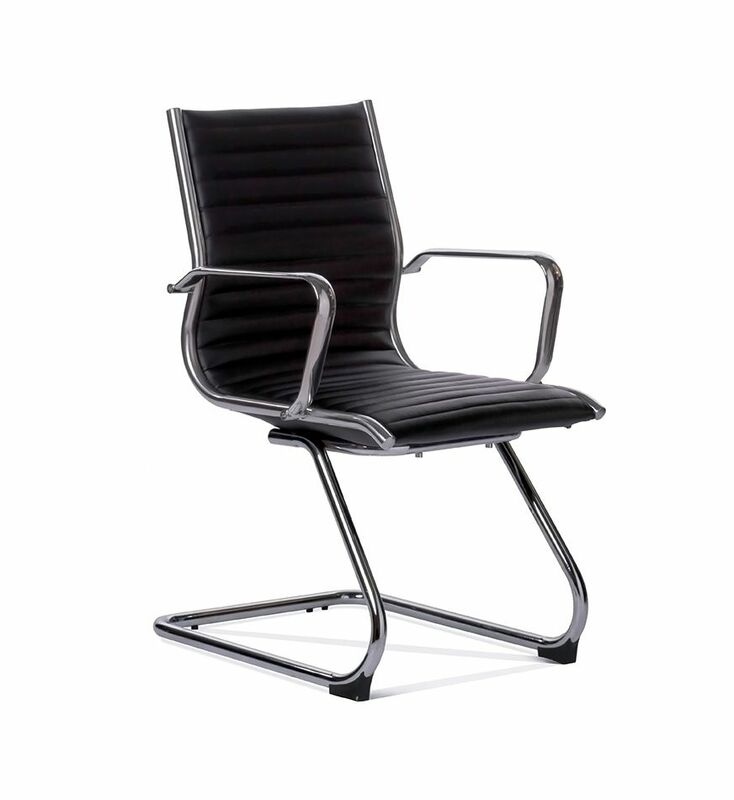 Polished aluminium frame and 5-way base with swivel castors. Adjustable seat height & tilt. 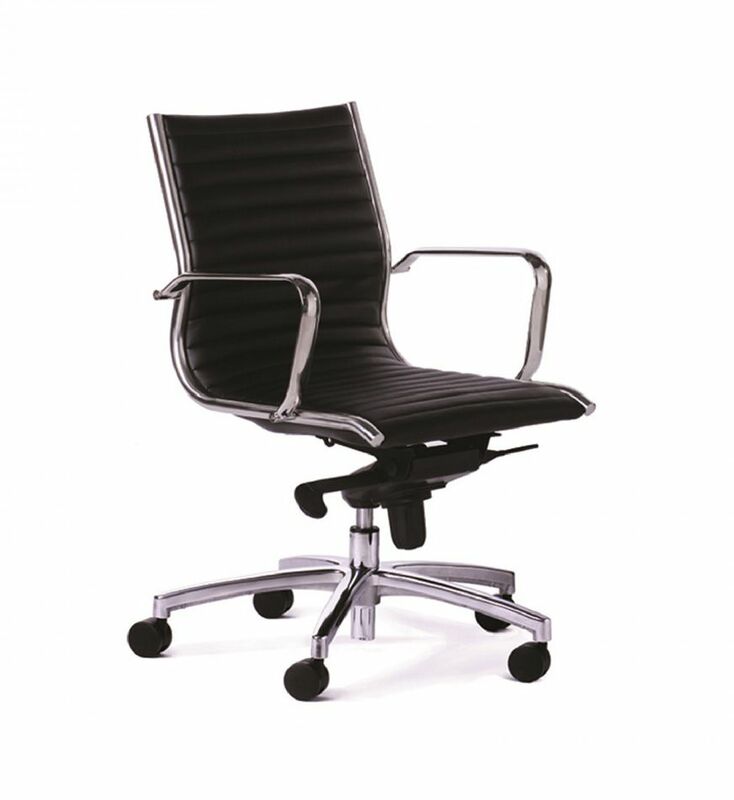 Sprung cushioned seat upholstered in black or white synthetic leather. Suitable for indoor use only. Commonly used in Offices and Boardooms.